Completing your Post License education during your first license renewal has never been easier. We have compiled the all the courses you need to complete your real estate post license requirement. Making the transition from provisional sales associate to thriving real estate professional requires dedication, perseverance, and a lot of learning. By the time a newly licensed associate reaches this post-licensing course, they know the laws that govern their real estate practice. How to apply these rules and regulations, however, can be a bit of a mystery when confronted with everyday situations. Post-licensing is all about merging one's book knowledge with practical field application. This course bridges the gap between what provisional sales associates needed to know to earn a license and what they need to do to become confident, highly skilled real estate professionals. 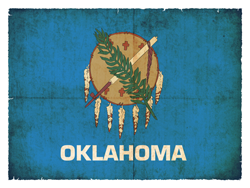 Oklahoma requires that provisional sales associates complete 45 hours of approved continuing education within their first year of licensure. Oklahoma Provisional Post-License Course of Real Estate, Part II of II will fulfill this post-licensing requirement. Tips for marketing your listings more effectively. An explanation of the main components of an effective real estate business plan. A discussion about how the MLS has evolved and insights on ways to use the increased public availability of data to your benefit. Specific advice on what you can do to improve your prospecting and negotiation skills. Analysis of real estate financing and the qualifying process. A review of purchase agreements, appraisals, and comparative market analyses. An in-depth look at professional standards in real estate, with a focus on trust fund handling and the fiduciary duties owed to clients and customers. Advice on how to account for and mitigate the probability of risk in your day-to-day business dealings. Emphasis on the importance of applying the highest ethical principles to your practice. Insights on how to comply with fair housing rules and regulations. A discussion of the rules that apply to managing properties in Oklahoma. Key points illustrated through case studies and real world examples. Numerous resources for instant application and future reference.